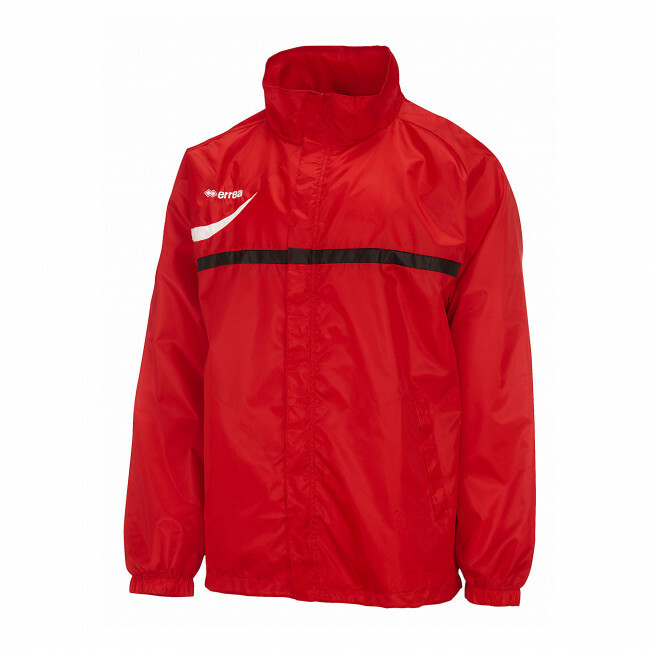 Unisex full-zip rain jacket for adults (men and women).Mesh fabric lining and contrasting inlaids. Normal fit. Perfect for training. Vancouver is the training rain jacket for men and women, perfect for any sport. Made of water-repellent fabric, this jacket provides superior comfort and an optimal fit: you can wear it when you practice outdoor activities, to protect you from wind and rain, with minimal overall dimensions. It will keep you fresh and comfortable at all times, even in the most humid and cold days, without compromising with breathability and freedom of movement. Its inner mesh lining and its classical turtleneck collar ensure breathability and protection in all weather conditions.